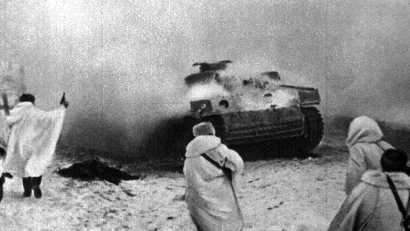 The complains of the German commanders about the terrible Russian winter are laughable. What, nobody in whole German empire didn't know the winters in Russia are cold? The "general Moroz" (Frost) in December became as the surprise? If the army was unprepared, that means the defect of the army. 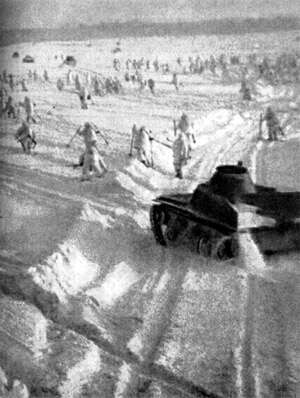 From the other side of medal, the Soviet army suffered of the cold winters too. 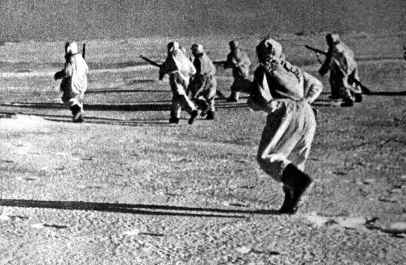 But they were simple better prepared for the winter conditions. 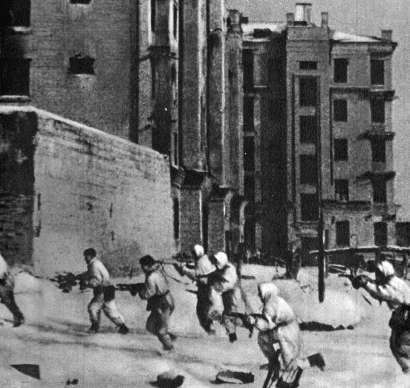 Soviet infantry of Leningrad front in 1943.
советская пехота Лениградского фронта наступает зимой 1943. Фото ВОВ - советская пехота зимой. Пехотинцы Красной Армии контратакуют зимой. 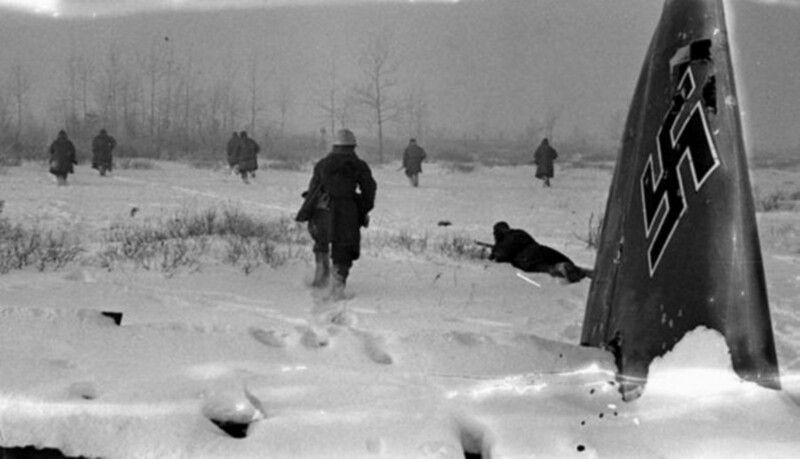 Counter attack - War in winter. Советская пехота наступает на деревню зимой 1942. Бойцы РККА в индивидуальных стрелковых ячейках под Москвой. 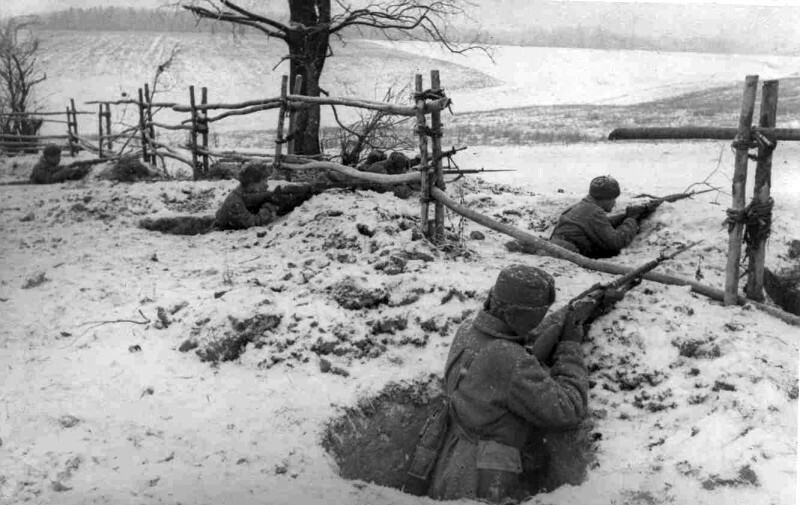 Russian soldiers near Moscow. 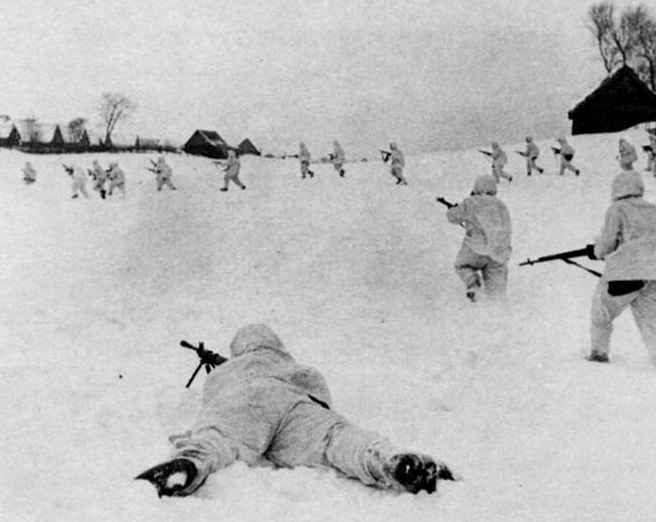 WW2 winter photo. Советские солдаты с автоматическими винтовками СВТ-40 и АВС-36 в заснеженных окопах. 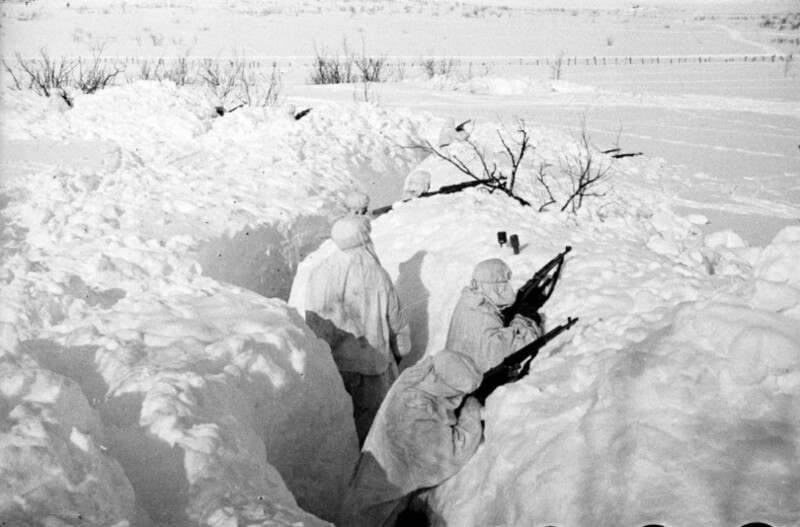 WWII Russian troops in winter snow.